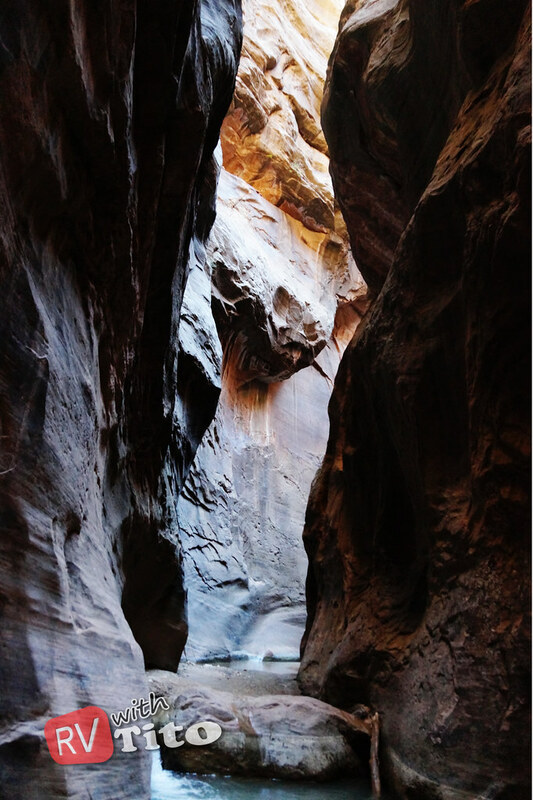 On day two of our visit to Zion National Park we spent the day experiencing Zion from the bottom looking up. While on the Angels Landing trail the day before, we struck up a conversation with a local resident who strongly recommended we stay another day to do the Narrows Trail. We heeded this advice and embarked on what was to be yet another spectacular day. Getting to The Narrows meant riding the park shuttle to its last stop and getting on the River Walk Trail. 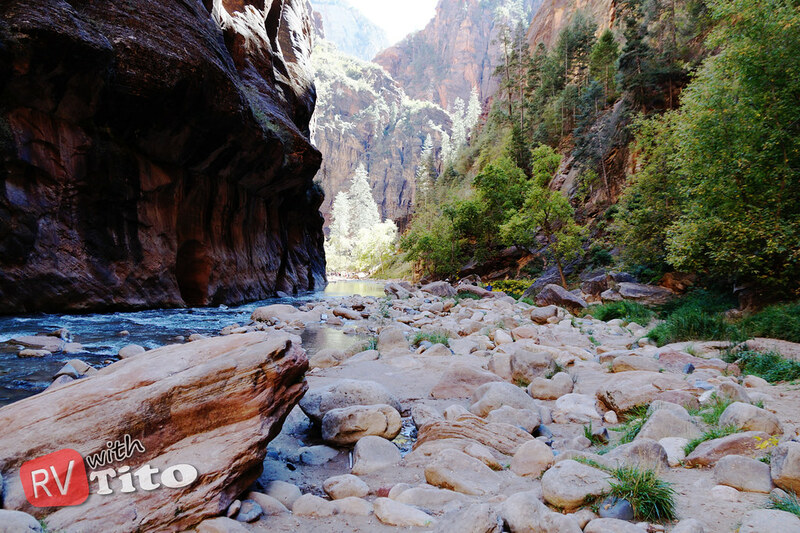 The River Walk is paved and follows the Virgin River for a mile or so. 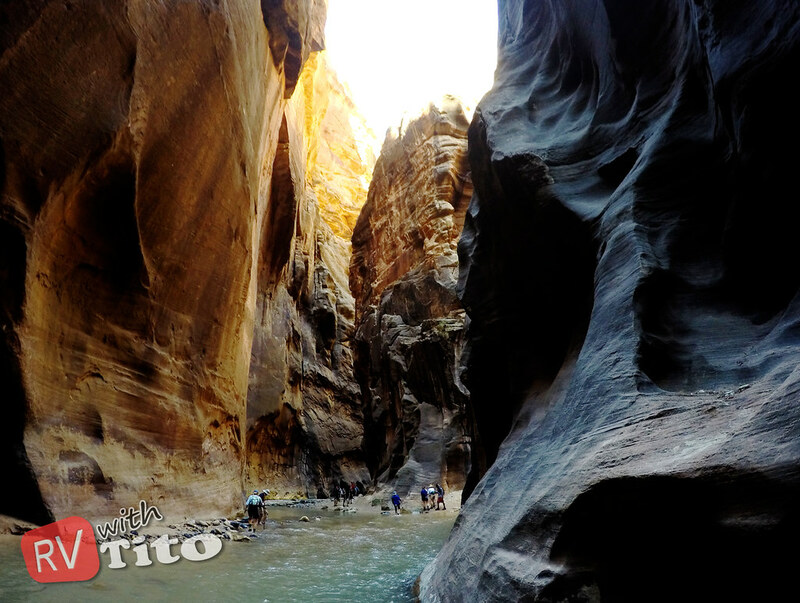 The Narrows Trail begins where the River Walk ends -- in the Virgin River. 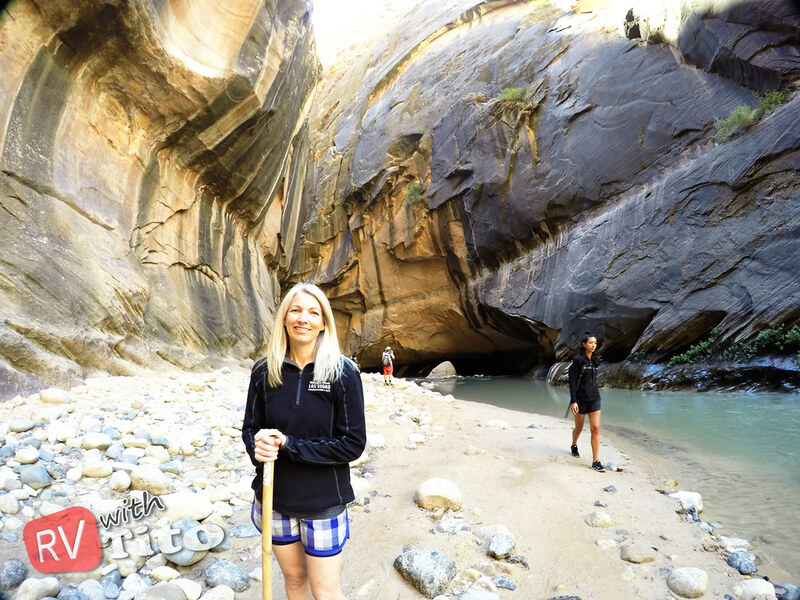 Equipped with a river stick and special shoes (rented from a local outfitter in town for around $15 each) we jumped in and started our trek up the river. The Narrows gets its name from the narrow path it has carved through the canyon. 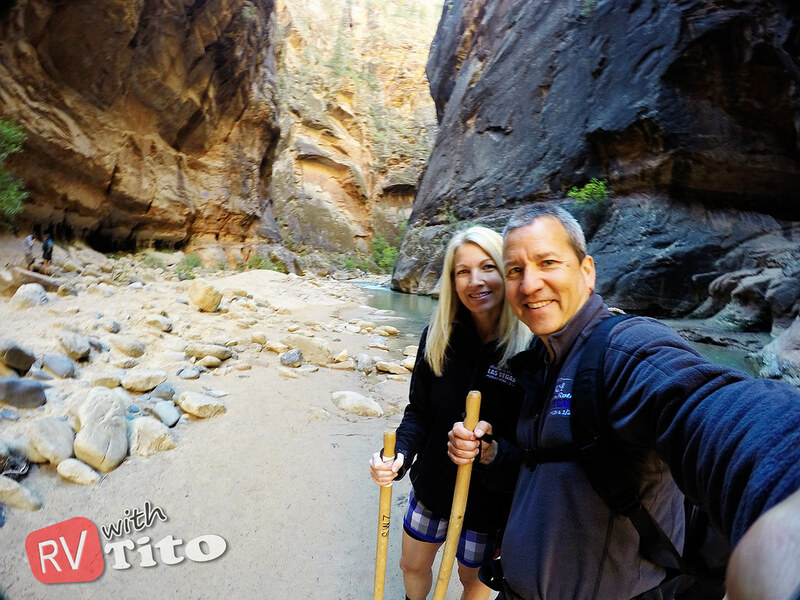 We quickly found our footing in the river and hiked around two miles up the river admiring the stunning vertical rock formations along the way. Eventually we had to turn around in order to make it back to the outfitter in time to return our gear. This was difficult to do because around each turn there was something else that had us muttering "Wow! Look at that". And it goes on for miles and miles. We were lucky to have been able to experience the river at a time when conditions were perfect. The water level was relatively low and water temperatures were around 55 degrees. At certain times throughout the year, there are threats of flash flooding, so make sure you check with the park rangers in the visitor's center before heading up. We had a great time and plan venture even further upriver on our next visit. While in southern Nevada, I got online to search for a place to stay for a night. Unable to find a last minute spot inside the park campground, we opted for the last available spot at the nearby Zion River RV Resort and Campground which was around 20 minutes down the road. It was a pretty nice park with nice facilities. The only negative was the very poor cell phone coverage. But with our new weBoost Drive 4G-X mobile booster, we were able to get an acceptable 4G data signal.